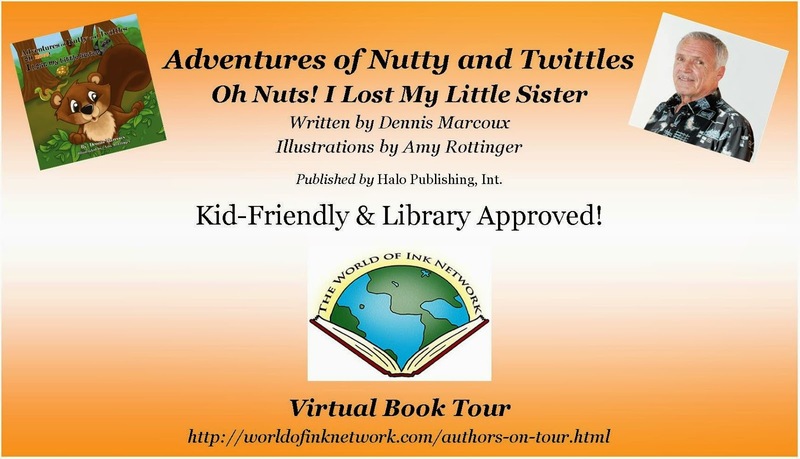 Today, World of Ink Book Tours brings us Adventures of Nutty and Twittles – Oh Nuts I Lost My Sister by Dennis Marcoux. Book blurb: Nutty and his sister Twittles set out to play a fun game of hide "n" seek with their friends. When Twittles is the only one missing, the game quickly changes. Nutty has to find his sister because she may be lost in the dark and dangerous Forrest. Kai: Thanks for visiting, Dennis. What age range is Oh Nuts targeted for? Kai: Oh, how scary! So glad that had a happy ending. Dennis, how do feel life changed for children today from when you were that age? Dennis: Technology has changed the way children live and learn. Dennis: Children are still curious and adventurous. Dennis: Sledding especially in the early evening when the sun was setting. I still have my 1952 Flexible Flyer sled. Kai: Awesome! Can you tell us what inspired Oh Nuts and how did you decide on this age range for your story? were in this age group. Kai: Finally, I have four kids. Over the years they’ve attended a lot of birthday parties. I love the idea of building a theme gift around a book. 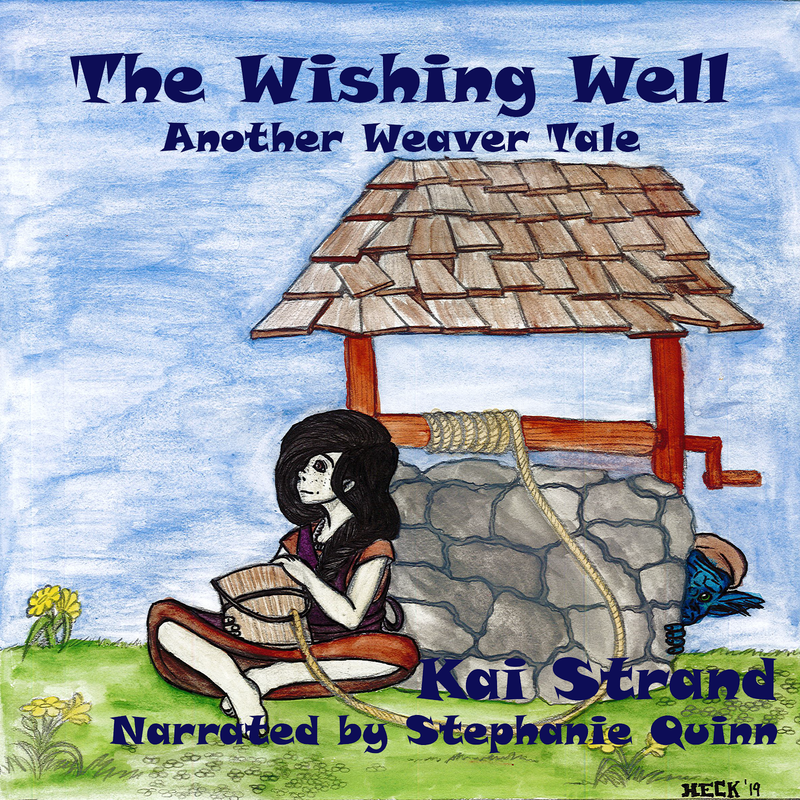 If you were to give a gift basket to a child based on your book, what else would be in the basket besides Adventures of Nutty and Twittles – Oh Nuts I Lost My Sister? Dennis: Stuffed squirrels named Nutty and Twittles, Be my buddy badges, puzzle of a forest, paper and colored pencils and animal stickers. Author bio: Originally from Worcester, Mass., Dennis Marcoux worked in the manufacturing business for most of his life. Now he is retired and resides in Cape Coral, Florida. In his spare time, you can find him reading books as a volunteer in elementary schools and children's hospitals. He is a member of the Gulf Coast Writers Association of Fort Myers, Florida. Kai: Dennis where can our readers find more information about you and your book? Aw--I love that--reading to kids in libraries and hospitals. That's something I'm totally going to do when my littles are grown. I love reading to them so much! There is something so special about reading to kids. That's one of the reasons I love school visits. Thanks for visiting!